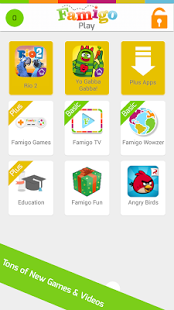 Famigo provides families with the best educational content on smartphones and tablets. Famigo adds new content daily, so kids and toddlers will never tire of curated apps, ad-free videos or educational games. 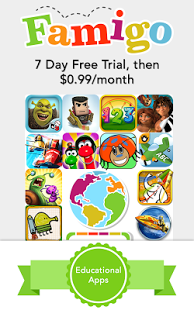 Famigo subscribers receive $20 worth of apps each month that they can keep forever. With Famigo, families will never have to search for content again. All Famigo content is screened and sorted by age-range and educational relevance so all content is relevant and age-appropriate. 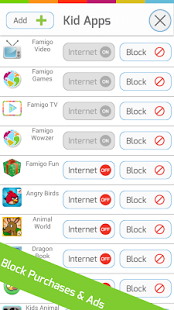 Famigo removes ads and prevents in-app purchases, so families never have to worry about inappropriate content or unexpected charges again. Families also have access to an optional child-lock that keeps kids in one safer space. 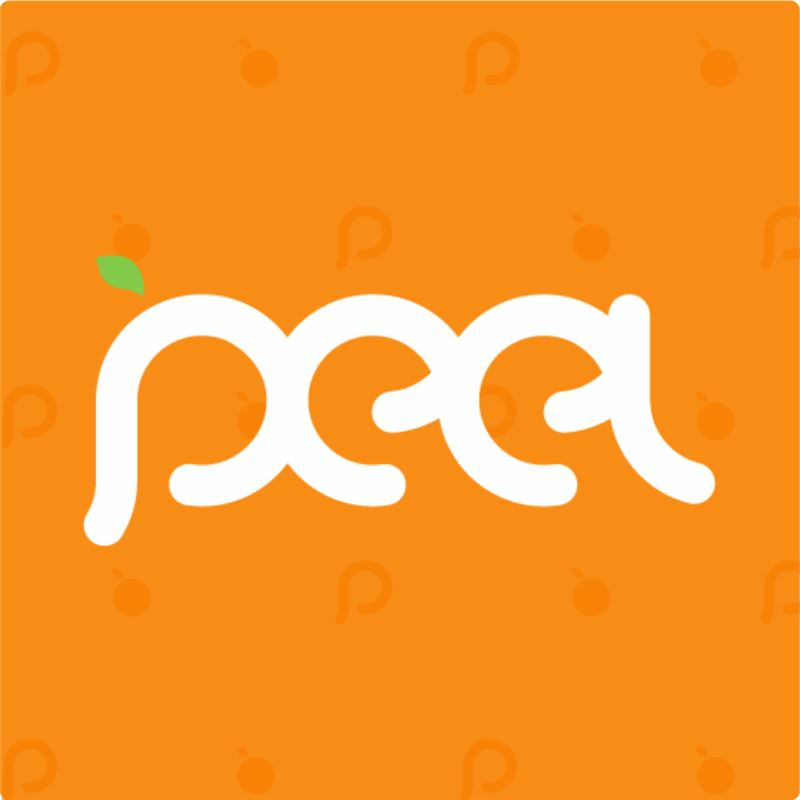 Parents also can customize their device to control what apps use the internet or which applications kids and toddlers can use. 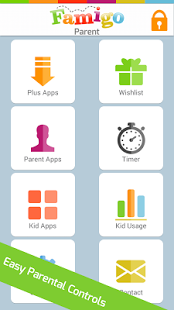 Parents are able to monitor their child's usage and use to timer to allow kids and toddlers to only use the app for a set amount of time. Famigo provides families with hundreds of ad-free videos, a safer space for web-browsing and educational content. 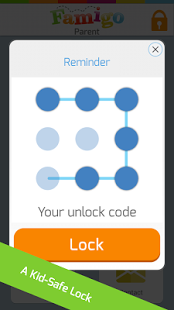 Famigo knows that learning can be fun. That's why Famigo has created a platform for educational entertainment.